After an entire week of reviewing Milani Products, I wanted to come and end it by sharing with you all my OFFICIAL Milani Favorites! Milani Brilliant Shine Lip Glosses in Mai-Tai & Luminous, Milani Lip Intense Liquid Color in Pink Rave, Milani ColorStatement Lipsticks in Rose Hip & Cabaret Blent, last but not least….Milani Power Lip Stain in Mango Tango!!! 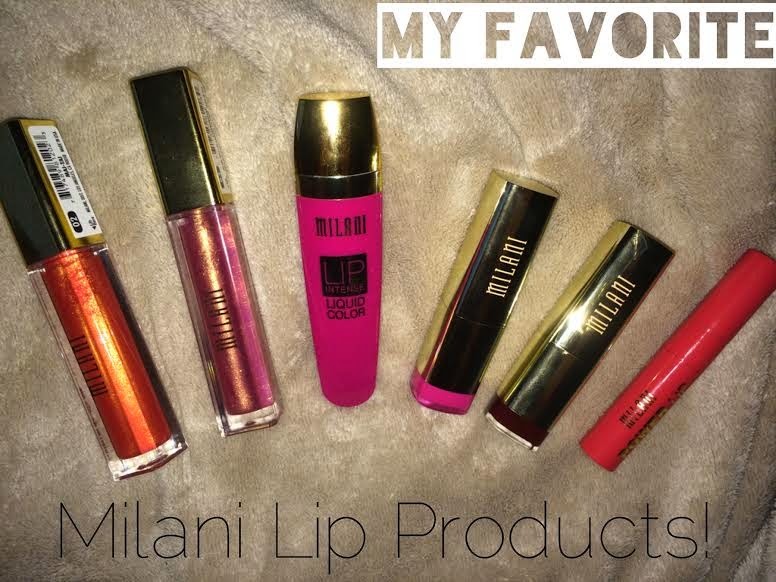 Most of the products I’ve reviewed were lips products, and I must say Milani lippies are FANTASTIC and well worth the price. From the scent, the pigmentation and taste. Well…except for the Power Lip Stains, those taste gross so don’t lick your lips lol. However the color pay off is ridiculous. Mango Tango will be my purse staple for sure….along with any of these above in the photo. For swatches of these lip sticks and glosses, hit the links above! The names of the products are links to their swatch! Be sure to Facebook Like, Tweet and Google+ posts you enjoy!